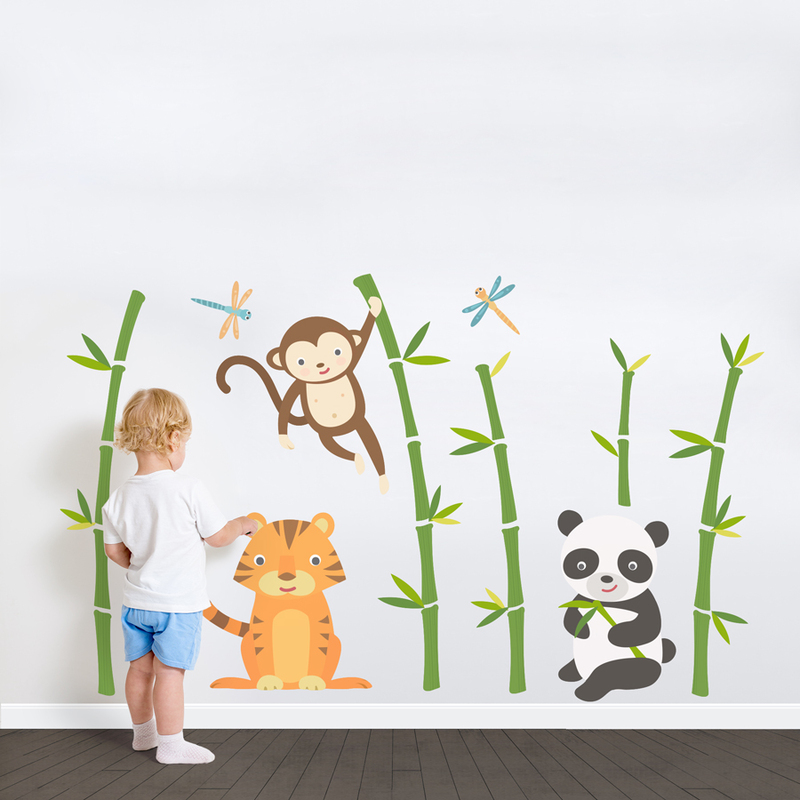 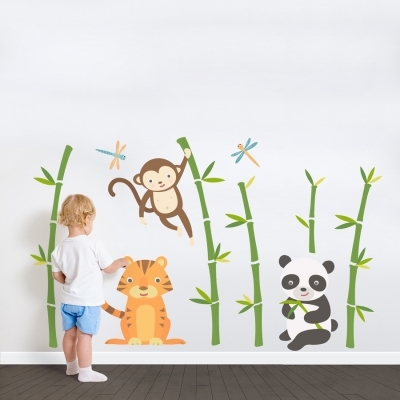 Your children will love our bamboo friends printed wall decal! 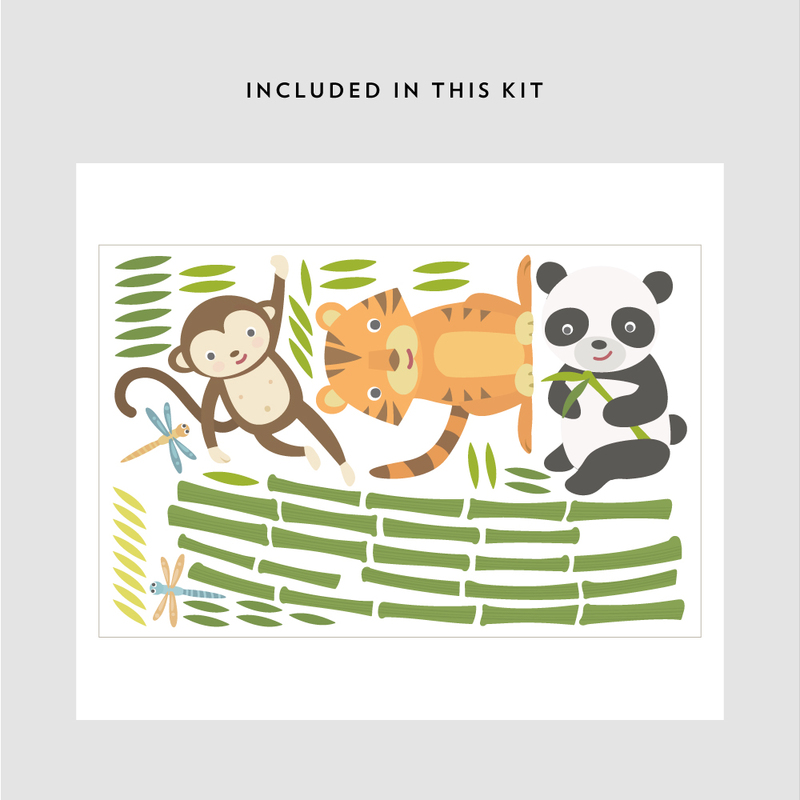 A friendly tiger, cuddly panda, and playful monkey await them in a bamboo thicket. 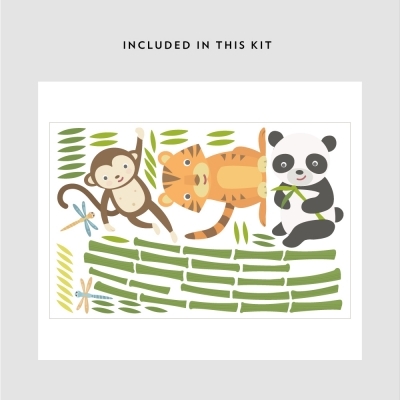 Available in 3 sizes.